The exact boundaries of the kingdom of Elmet at any particular time cannot be known for certain. Much, however, can be deduced from the names used in the region. Much can also be deduced from economic and military realities, and indeed as these relate to the terrain. First let us be clear about rivers. Rivers are not barriers and therefore not solid borders; they are in fact often used for travel and for moving goods. River valleys therefore can be regarded as single possessions of their controlling rulers or owners. Britain of this dark age was in the middle of a climactic downturn in temperatures and an increase in cold and rain across northern Europe. Uplands which had been arable during the 'Roman Warm Period' became useable only for grazing, and poor grazing at that. The control of river valleys where grain (early wheat varieties, and barley) could be planted were vital for survival. Therefore any river valley was controlled on both banks of the river, unless marshes (as in the case of the lower Trent) made the area impassable an/or unusable. The north-eastern border of Elmet can be deduced with a fair level of certainty - following a rough line along the River Wharfe (which is shown on the map below, flowing through Calcaria and Olicana). The question is, who controlled the Wharfe river valley? Given its proximity to Eborac (or Ebrauc, modern York), and the fact that a forest lay between it and the royal residence of Elmet, there is a good chance that it belonged to the British in Eborac before Eborac fell to the Angles of Deira. If this was not the case then it was almost certainly settled by the Angles before Elmet fell. Therefore the conclusion can be drawn that the main border of northern Elmet was the Forest of Elmet (shown above separating Loidis from Calcaria), and also the marshes which stretched from the east of the forest to the River Don. Olicana (known today as Ikley - the same name but mangled by Old English pronunciation), and Calcaria (modern Tadcaster) downriver from it, show altered British/Roman names. From this it can be guessed that they were perhaps inhabited by Britons, although they were definitely under Deiran control by the late sixth century. There is of course a possibility that an armed truce existed between Deira and Elmet, allowing each to till their side of the river. This would be therefore an economic border of sorts but would not prevent raiding by either side. The effective military border of Elmet would be the Forest of Elmet just south-west of the river. This deep pink area contains many names that are of Romano-British origin, some of them containing the name of the region in various forms, and including the largest city in the area today: Leeds. Note that it was in the general proximity of the River Idle - which today flows into the Trent, but until 1628 joined the Don close to Hatfield Chase - that Northumbrian King Aethelfrith was patrolling in 616. Presumably this was along the edge of his territory, and it was here that he encountered the East Angle army under King Raedwald and his new friend, Prince Edwin of Deira, and was killed. This then, in the vicinity of the Idle and Don rivers, would have been the south-eastern border of Elmet in its final years, a nation that was already tributary to Northumbria. As an aside, the ruler of Elmet had already murdered his guest, Prince Hereric of Deira, undoubtedly at Aethelfrith's command. This automatically made 'King' (in reality a magistrate) Ceredig ap Gwallog subordinate to Aethelfrith. A ruler is supreme, and to obey another is to become subservient to that other. This made Elmet part of Aethelfrith's domain, which he was patrolling. 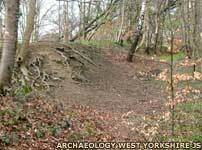 In that sense alone we can date the 'fall' of Elmet as an independent kingdom to the death of Hereric. Returning to the map, the deep pink area is full of Brythonic names and combined forms (Brythonic+Anglian), such as Leeds, Doncaster, Burton Salmon, Ecclesfield, Ledsham, Ledston, Barwick-in-Elmet, and Sherburn-in-Elmet. Edwin chased the king and his knights to the River Don in 617, where they finally stood and fought for a while. This would be the action of an army forced to the border of its country, and to go farther would be to leave that country. As you can see, this pink wetlands area merges into light grey wetlands as it nears the Trent, a river that appears to have been controlled on both banks in a military sense by the Angles in its upper valley (south of the River Idle), but which was too marshy for the Angles to want to settle on both banks north of the Idle. Remnant British settlements seemed to have continued there, such as Burton upon Stather (a 'burton' is a word often used by the Saxons/English to refer to a British settlement - ignore the conventional explanation of burh+tun). 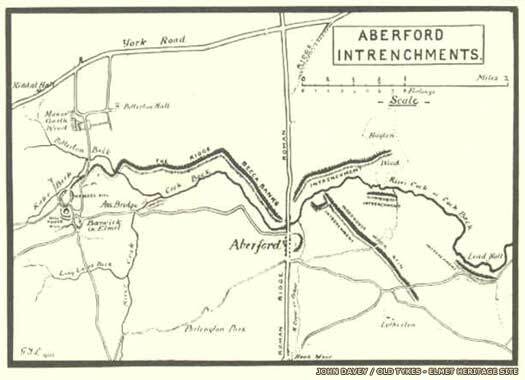 Anglian settlement seems to have reached north as far as Littleborough (in Nottinghamshire) on the west bank, and Gainsborough at a ford on the east bank. 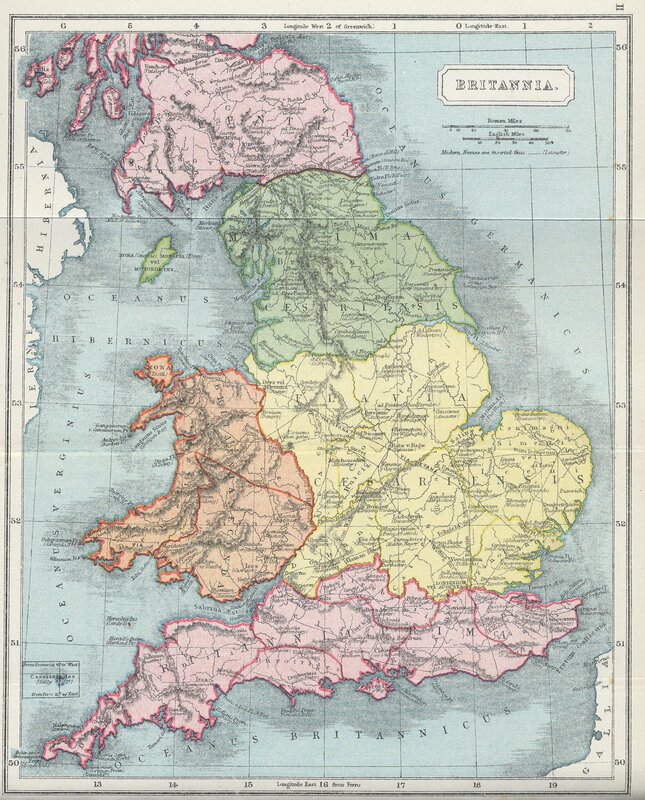 Ergo, Britons lived in the pink-grey mixed region, but were probably under the overlordship of the Angles of Lindsey. The light grey block of colour on the map is the probable extent of British territories which possibly became Elmet, soon after Roman administration was kicked out in AD 409, although it cannot be said for certain to which territory it all belonged. It may have been part of Elmet; and there is a good chance of this. Or it may have been included in the southern Pennines kingdom. We are assuming here that it was part of early Elmet, but that may not be correct. The presence of Anglian settlements with Anglian names along both banks of the upper Trent and deep into the territory, such as Nottingham, Sheffield and Balderton, point to an early takeover of the river valley and arable land over to the Pennines by the Angles of Lindsay or Mercia. Indeed, the grey area is full of Germanic names for towns, much more so than Brythonic. Another consideration is ethnic identity. Though all were under Roman rule during the period of empire, tribal identity appears to have survived into the post-Roman dark ages. The Britons in the deep pink area seem to have been Brigantes. The Britons in the grey area were definitely Corieltavi. The Britons in the mountains (south Pennines) just to the west of the grey area were also Corieltavi. This would be another pointer toward the possibility that the grey area was part of the south Pennines and not Elmet at all. For the sake of convenience, the whole district around Misson is given that name here, due to the existence of other, similar names in the region, and on both sides of the river: Misson, Misterton and Messingham. Since the Anglo-Saxon '-ing' ending appears to be the normal substitution for the Brythonic '-ion' or '-on', then the original name of that town appears to have been Messon or Mession. Given that '-ion/-on' is a Brythonic plural it implies that a tribe or sub-tribe of the name Miss or Mess lived there. Modern Welsh uses '-ion' but Brythonic/ Old Welsh and Pictish appear to have favoured the '-on' ending. Could the eastern area between the Pennines and the River Trent have been settled by Mercians (specifically the Lindsey Angles) earlier than 590? It is certainly possible that the grey area on the map was part of Elmet despite its different minor ethnicity. This has happened before such as, for example, when the Dumnonii tribal kingdom (in Devon and Cornwall) annexed most, if not all, of Dorchester before losing it gradually to the West Saxons. 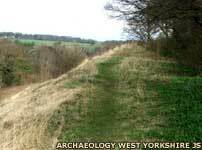 So an Elmet centred on a southern group of Brigantes could certainly have controlled a Corieltavi ethnic area. But keep in mind the certainty that these Corieltavi had relatives living under the authority of the Angles of Lindsey; how hard would they have fought to stay free if the Lindsey Britons were being treated well? A tidy solution would have the hero, Madoc of Elmet, as a lord of this southern area, under the overall authority of the ruler of Elmet, and that upon his death at Catterick, the Bernicians took over his lands. Unfortunately this is sheer speculation with no supporting evidence whatsoever, despite being quite an attractive solution. 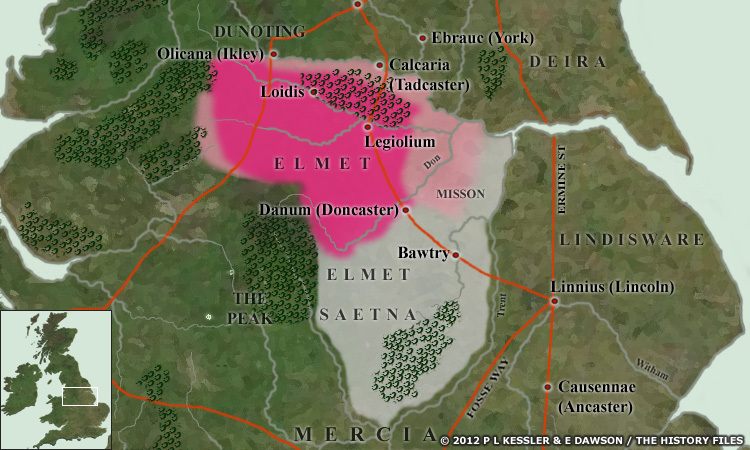 In conclusion, what is fairly clear based on local names, and post-conquest borders, is that th e deep pink area is approximately the extent of Elmet in its final years.